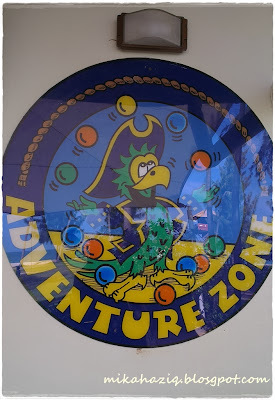 While searching for Penang attractions for kids, I came upon a few blogs that suggested Adventure Zone. 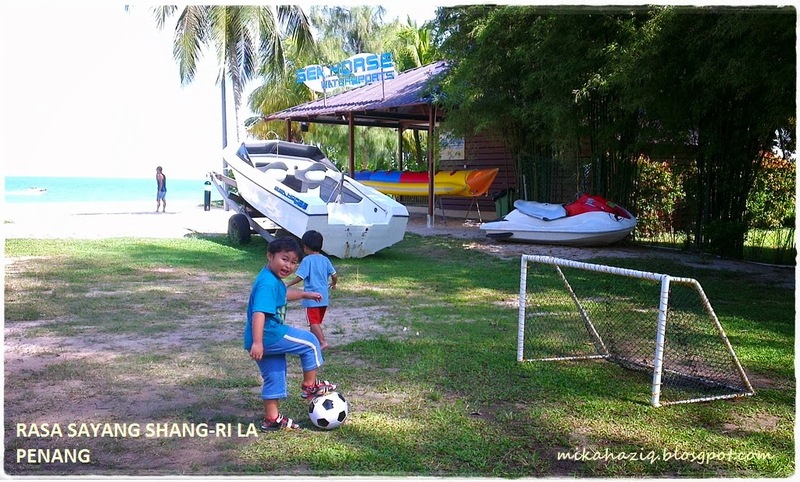 I made a mental note to just check it out if we don't have much to do in Penang. 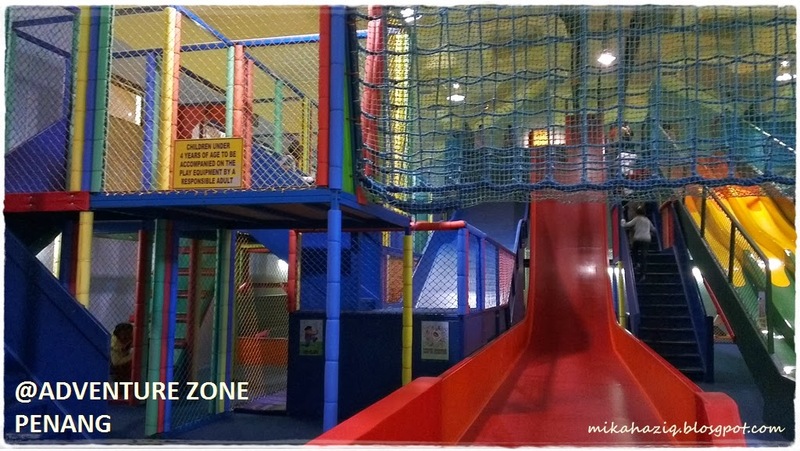 Didn't even bother looking at Adventure Zone official website to check its location since husband said that Rasa Sayang Shangri-La has a kids club and I think we have had enough of indoor playgrounds in KL and Singapore to head specifically for another indoor playground while on a holiday in Penang. 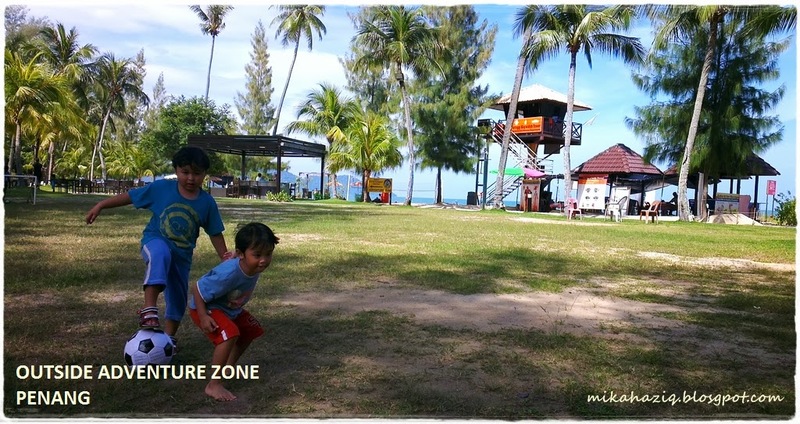 Little did I know that the level 2 of Adventure Zone is actually Shangri-La's Rasa Sayang and Golden Sands Resort's kids club. 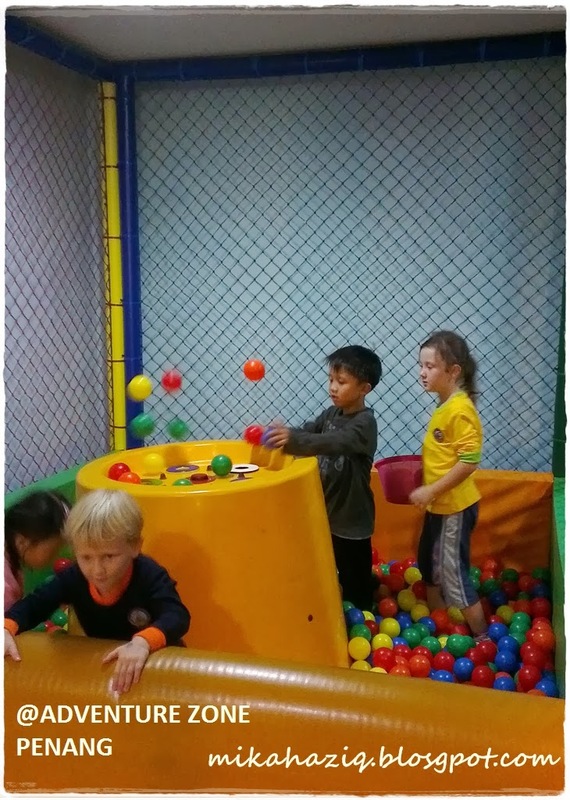 Though the kids club caters only to 5 and above. And entry to Adventure Zone (level 1) is with an entrance fee even for resort guests (except for the toddler play area which is for 4 years and under - that is free for resort guests). This picture and the one on top basically shows 80% of Adventure Zone play area. 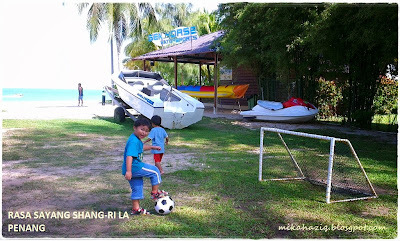 For local visitors or non-registered guests ; RM 33 per 2 hours. Admission requires long sleeved shirts, long pants and socks should you want to take the tall slides. However the slides are too big for my scaredy 5 year old and the playground is too big for my 4 year old to tackle on his own. 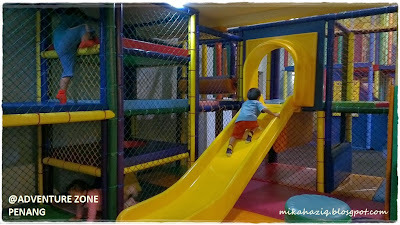 But kids 7 and above seems to really be having fun sliding down the tall slides. However, how many times can they slide before the novelty wears off? 2 hours are more than enough. The place was crowded and understaffed. There were only two staff manning the counter when we were there. One attending to enquiries and admission and the other attending to food orders. For a place that caters to both public and resort guests, seating is very lacking. 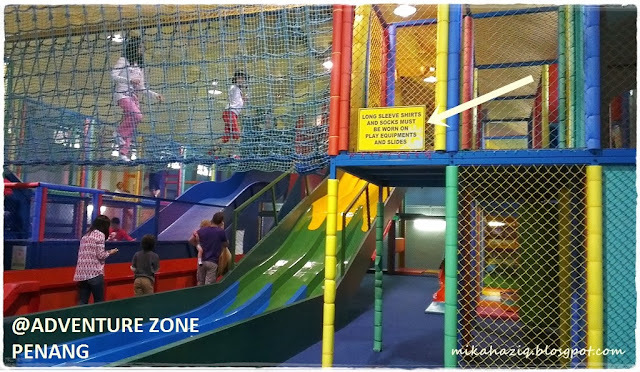 To me the indoor play area is quite small and since they can't build much side-ways, they just build up. 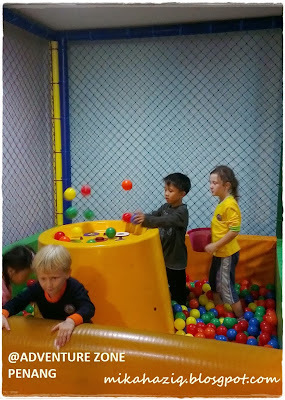 So, yup, I don't advise going here with 5 years and under. If you are a Penangite or an expat looking for a place to bring the kids to expend their energy for an hour or two, then you might consider this, otherwise, I don't think that Adventure Zone qualifies as a tourist attraction for kids (but then again Penang is lacking in attractions for kids that you might eventually end up here). Adventure Zone is at Batu Ferringi Beach, next to Golden Sands Resort. 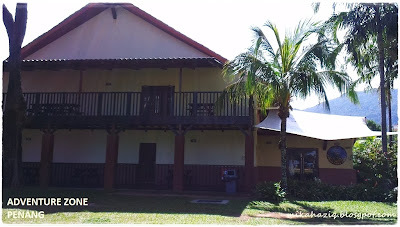 Opening Hours : 10.00 am - 7.00pm.